It’s a month into the new year and, by now, employees should be well on their way to eating healthier, exercising daily, saving more, spending less, taking up parasailing, speaking a new language, swimming with dolphins and, perhaps, speaking the dolphin language. Or, maybe not. According to U.S. News & World Report, more than 80% of New Year’s resolutions meet their match by February. And Inc. notes that only 8% of people achieve the goals they set for the year. Fortunately, healthy changes can begin at any time of year. And workplaces can play a role in creating better, long-lasting habits. Employers that lead by example, talk openly about physical and mental health challenges, and provide opportunities for employees to practice healthy behaviors can help workers and workplaces change for the better, said Lisa J. Belanger, Ph.D., CSEP-CEP, a behavior change expert from Canmore, Alberta who shared her expertise for a Q&A in the January/February issue of Plans & Trusts magazine. Social and physical environments, including the workplace, are factors that can get in the way of people’s best intentions. But Belanger said the No. 1 reason people of all types—young, old, sick, healthy, parasailers, earthbound—don’t make optimal decisions is time. The competing needs of life, work and relationships tend to keep healthy behaviors far down on the to-do list. Employers can help in this area by providing opportunities to focus on health and change during the workday. Organizational leaders also should invite workers to join them in performing certain types of behaviors, perhaps through on-site classes or work-sanctioned events. In turn, these employees may become ambassadors for healthy programs and changes. 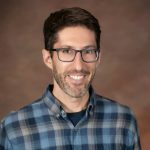 “To successfully influence someone’s behavior, speak honestly about your experiences,” Belanger said. This includes conversations about successes and failures as well as benefits, frustrations and perceptions. Belanger noted a real-life example that included a business leader who openly shared stories about using the company’s employee assistance program (EAP) to help him deal with psychological issues. It helped to normalize the behavior and remove barriers. Since that meeting, the company has seen increased usage of its EAP, she noted. The potential benefits of healthier employees can extend from lower health care costs to improved productivity. To function at their best, people need proper amounts of sleep, movement, nourishment, social connections and effective strategies to manage stress. The amount that each of these behaviors impacts brainpower and mental health is profound, Belanger said. Helping employees create healthy habits like walking or eating better can lead to competitive advantages, Belanger said, especially for businesses that are driven by knowledge workers in the information economy. Improvements in sleep, movement, nutrition, stress management and social networks also can help to prevent or treat psychological illnesses like anxiety and depression. Without good habits in place, the risks skyrocket, Belanger said. But a shift in any one of these behaviors can positively impact mental health and quality of life for employees. The hopes of the new year, or of speaking dolphin, may fade, but personal and professional improvements can begin at any time. 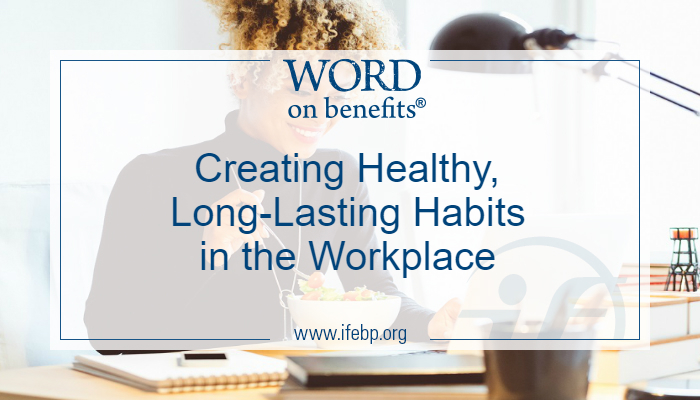 By modeling healthy behaviors and creating opportunities to reinforce good, long-lasting habits through open communication and on-site programs, employers can play a role in creating a healthier workforce for the long term. Belanger will present the interactive workshop “Creating Behaviours for Lasting Health” from 8:30 a.m. to 12:30 p.m. on Sunday, February 24, in conjunction with the Canadian Health and Wellness Innovations Conference, which runs February 24-27 in Lake Buena Vista (Orlando), Florida.